CHARLES RETTIG, Managing Partner Hochman, Salkin, Rettig, Toscher & Perez, P.C. Download "CHARLES RETTIG, Managing Partner Hochman, Salkin, Rettig, Toscher & Perez, P.C." 1 CHARLES RETTIG, Managing Partner Hochman, Salkin, Rettig, Toscher & Perez, P.C. Chuck Rettig specializes in tax controversies as well as tax, business, charitable and estate planning, and family wealth transfers. His representation includes Federal and state civil and criminal tax controversy matters and tax litigation, including sensitive tax-related examinations and investigations for individuals, business enterprises, partnerships, limited liability companies, and corporations. 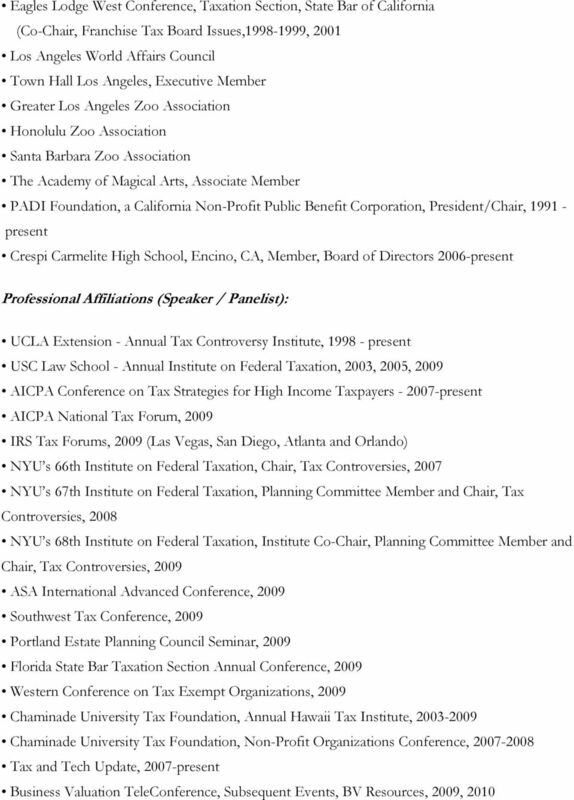 Chuck is a frequent lecturer before national, state and local professional organizations and has authored articles in many national, state and local publications. 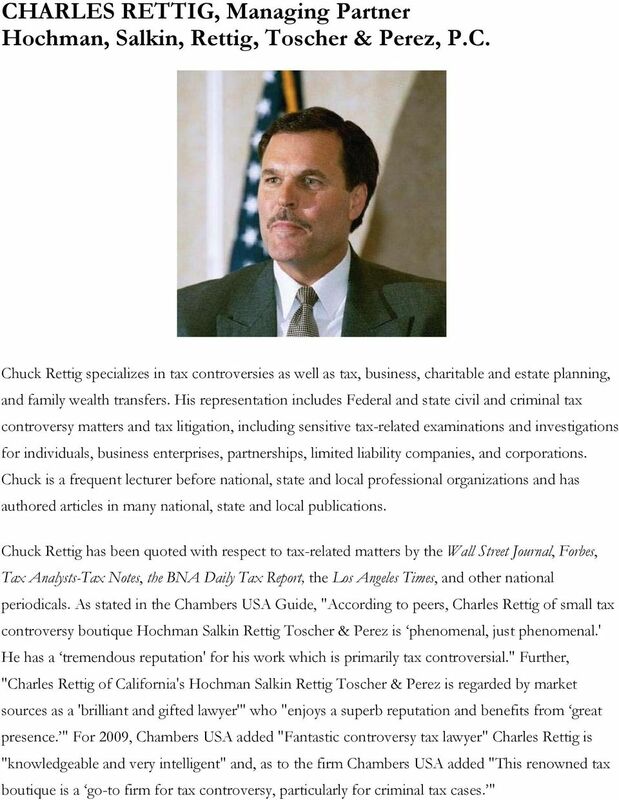 Chuck Rettig has been quoted with respect to tax-related matters by the Wall Street Journal, Forbes, Tax Analysts-Tax Notes, the BNA Daily Tax Report, the Los Angeles Times, and other national periodicals. As stated in the Chambers USA Guide, "According to peers, Charles Rettig of small tax controversy boutique Hochman Salkin Rettig Toscher & Perez is phenomenal, just phenomenal.' 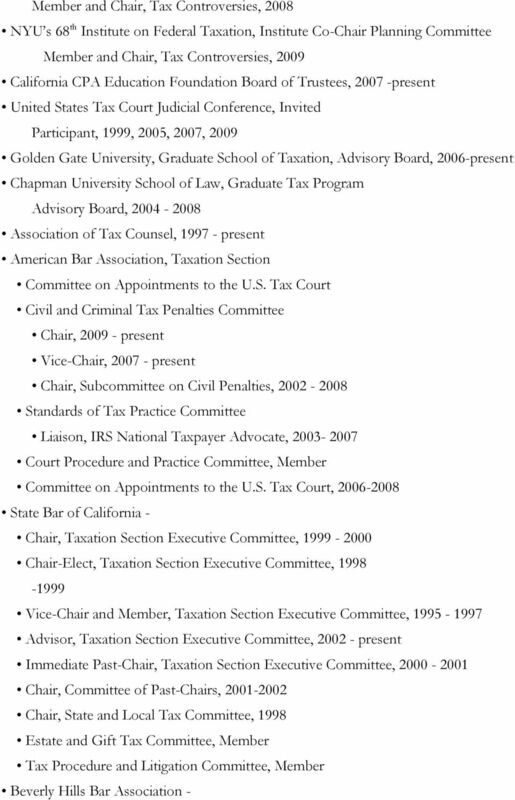 He has a tremendous reputation' for his work which is primarily tax controversial." 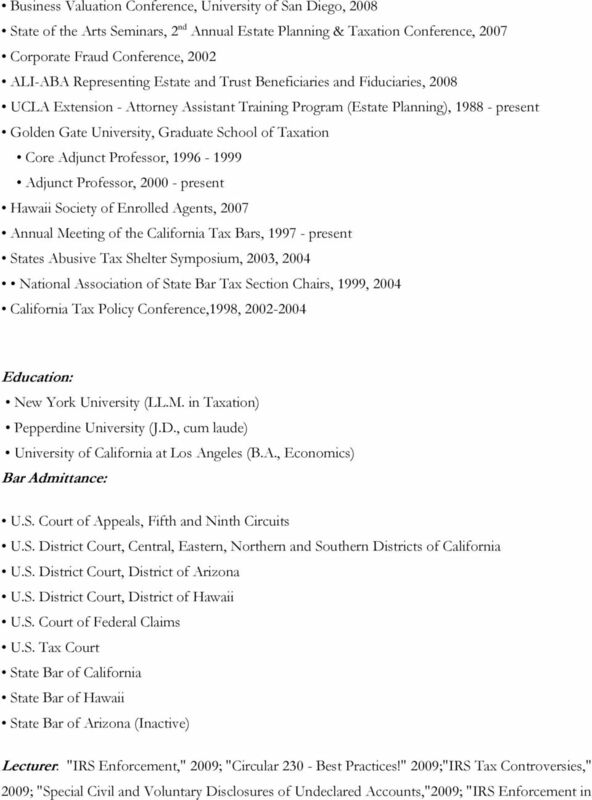 Further, "Charles Rettig of California's Hochman Salkin Rettig Toscher & Perez is regarded by market sources as a 'brilliant and gifted lawyer'" who "enjoys a superb reputation and benefits from great presence. " 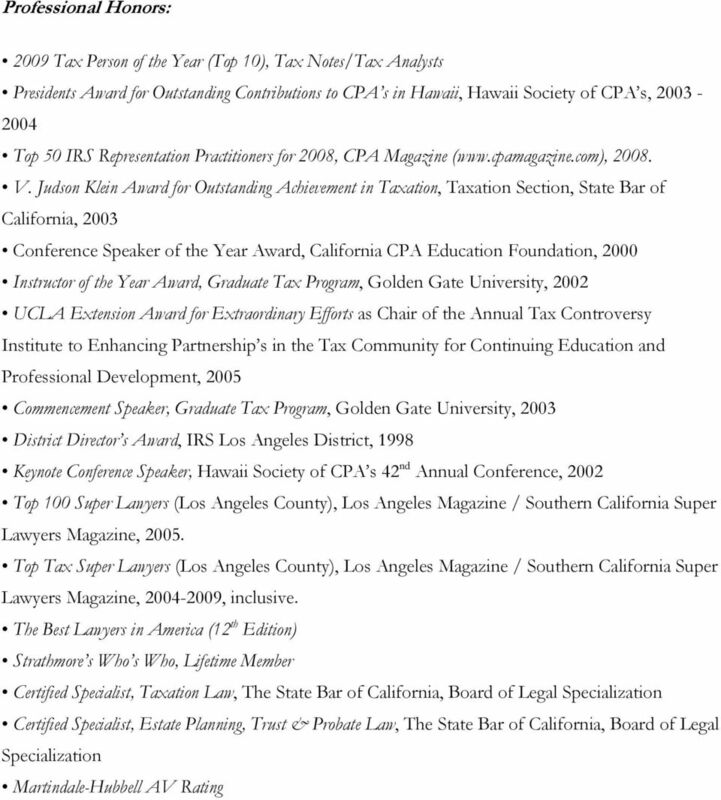 For 2009, Chambers USA added "Fantastic controversy tax lawyer" Charles Rettig is "knowledgeable and very intelligent" and, as to the firm Chambers USA added "This renowned tax boutique is a go-to firm for tax controversy, particularly for criminal tax cases. " 9 Planning Monthly, February 2009; "United States v. Stein: The Second Circuit Affirms," CCH Journal of Tax Practice and Procedure, October-November 2008; "Estate Planners as Return Preparers: Increased Penalty Exposure and the New Proposed Regulations,"CCH Financial and Estate Planning Reporter, July 2008; "Lichtenstein Accounts, German Spies and Now the IRS?," CCH Journal of Tax Practice and Procedure, June-July 2008 ;"Worker Classification:IRS Launches Questionable Employment Tax Practice Initiative," CCH Journal of Tax Practice and Procedure, February-March 2008 ;"Textron: Careful Reasoning for a Challenging Issue," many more. 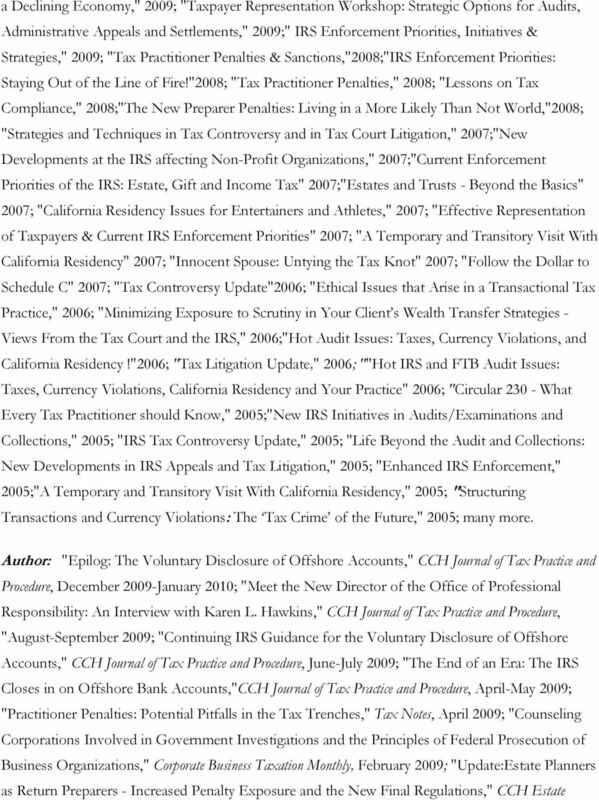 Co-Author: "Tax Crimes", Bureau of National Affairs - Tax Management, Publication 636 (1993, revised 1999); "Current IRS Enforcement Issues For The Coming Year," Matthew Bender & Company2004. ROBIN L. KLOMPARENS Wagner Kirkman Blaine Klomparens & Youmans LLP J.D., LL.M. 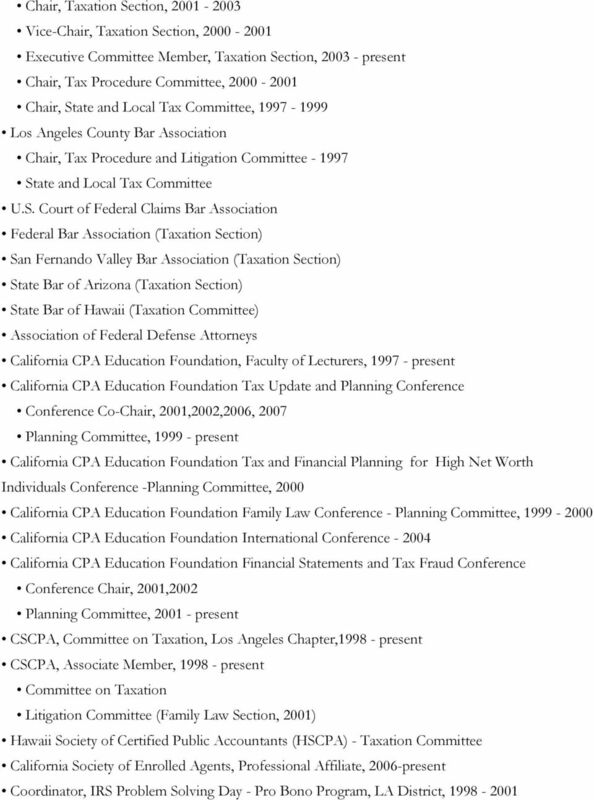 Taxation (State Bar No. 127966) email: rklomparens@wkblaw. Judge Biographies. Hon. John O. Colvin Chief Judge, United States Tax Court Washington, D.C.
June 2013. Dennis N. Brager, Esq. Upcoming Events. Greetings! CEB book: Complete Plans for Small and Mid-Size Estates About the Authors RICHARD A. BURGER is a sole practitioner in Petaluma, specializing in estate planning and administration. He received his B.A. 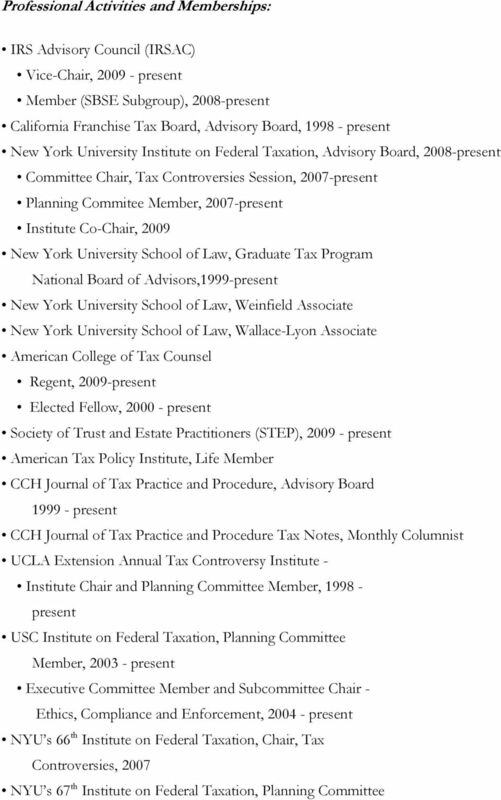 Member, Editorial Board for LexisNexis, Graduate Tax Series 2012 to present. Textbook series designed for Tax LL.M. courses.